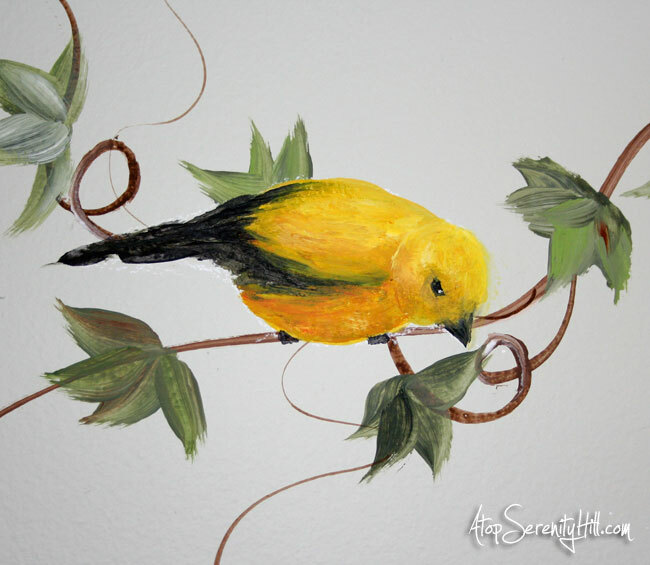 A past client recently contacted me to recreate part of a wall mural I had painted for her more than eight years ago. 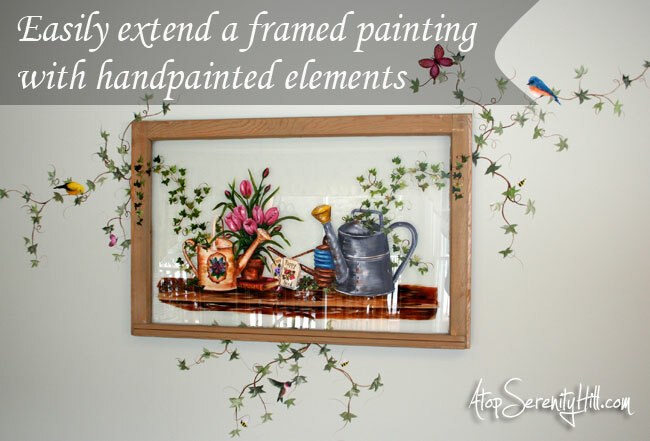 She had this wonderful picture of gardening items that was painted on the glass of an old window. (BTW: I didn’t paint the window…it was purchased from a craft show.) 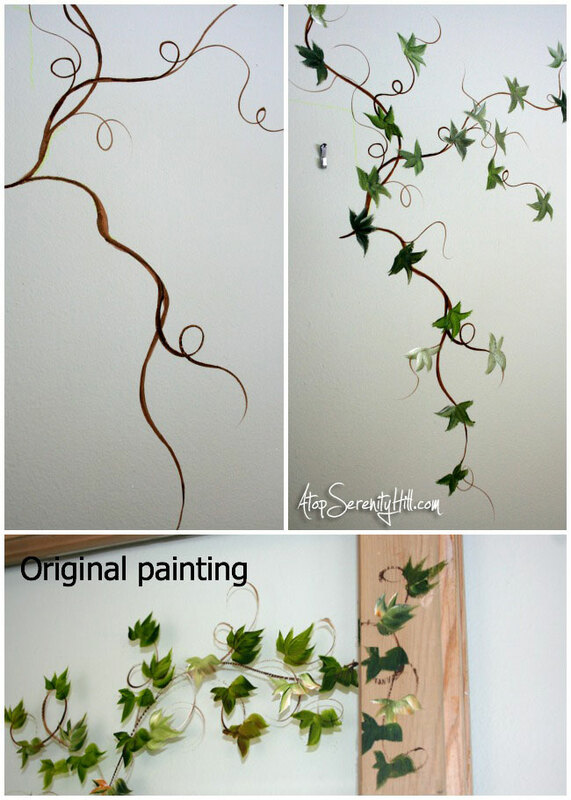 The client wanted me to once again extend the ivy vines and add in a few birds, butterflies and bees. The picture is on a large wall in the client’s kitchen. She couldn’t add many things to the wall since it is close to her island and items hung there would run the risk of being knocked about. Extending the painting was the perfect solution to add more color and interest. While the picture was still hanging, I marked off where to start the ivy vines with chalk. I then matched the colors from the original painting with FolkArt acrylic paint and added the vines and leaves. 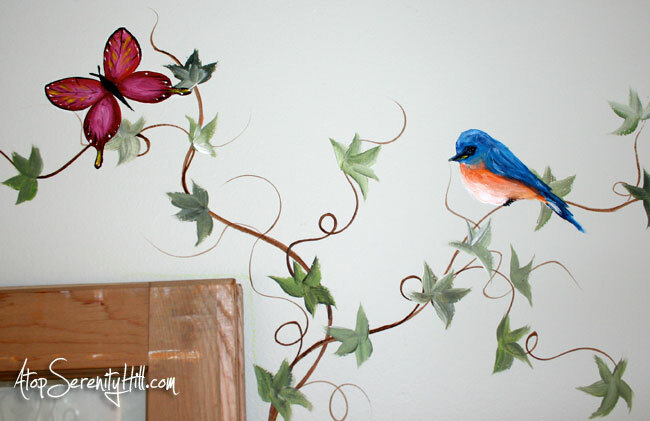 The final step was to continue the garden theme with the addition of some sweet butterflies and birds. 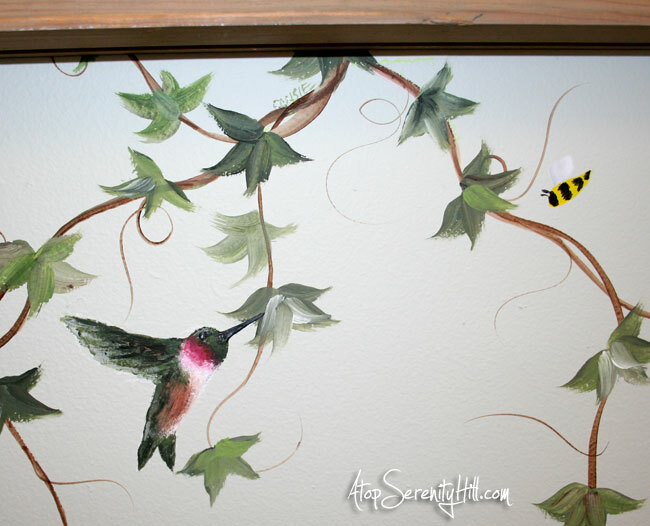 This is an easy way to take any painting and have it visually cover a larger area. Just take one piece from your picture and see how you can incorporate it out onto your wall! What a fun take on putting a mural on the wall. This looks so nice……a great idea. Thank you . Thanks, Stacy! I’m sure you will find a painting or picture to add on to! Good luck!